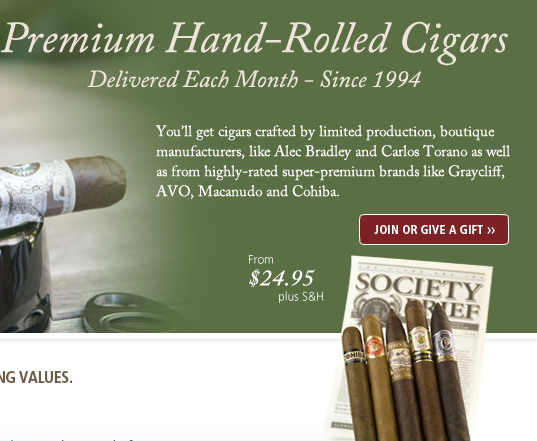 Read our full Premium Cigar of the Month Club review to find out why they are our Editors’ Choice! 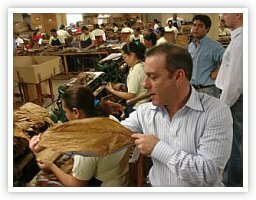 Each month, our premium cigar club members receive a portfolio of five professionally selected, hand-rolled cigars chosen from the world’s finest manufacturers and accompanied by our informative and entertaining newsletter. Focused on quality and variety, you’ll always receive a wide variety of lengths, gauges, wrapper types, and tobacco blends in each shipment. They do offer a 100% satisfaction guarantee which is definitely good to see. This club won our Editors’ Choice, read our full review and comparison to get the full scoop. The club scored high marks all around and we are very impressed. In our cigar of the month club comparisons, this is the reigning champ. We’d have to say this is the best cigar of the month club for your money.